The lip of a wave folds over a surfer at Swami’s Beach on Tuesday as another surfer tries to get out of the way. 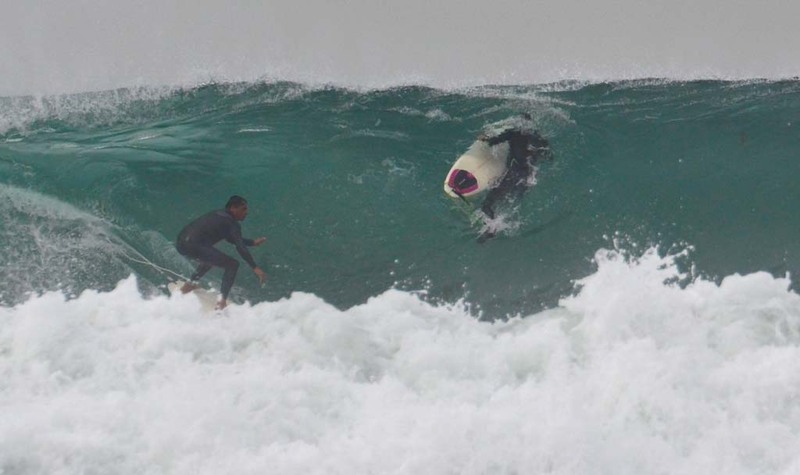 A surfer finds comfort in the barrel at Seaside Reef. 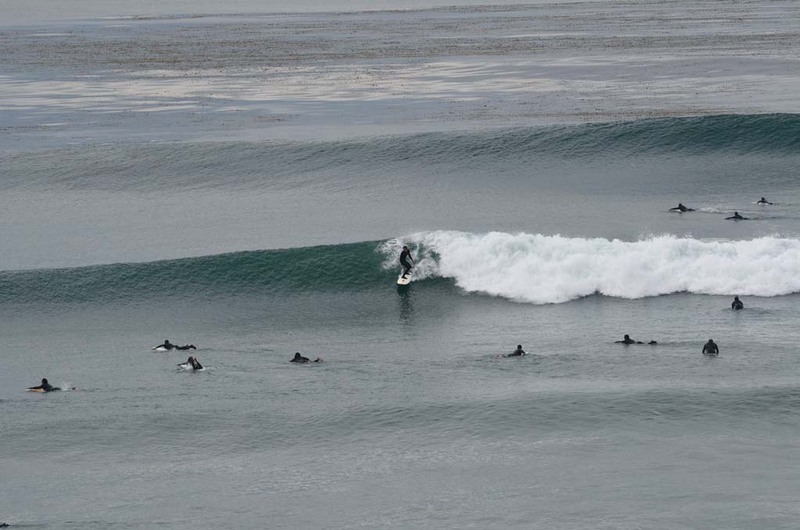 Surfers gathered en masse at Swami’s in hope of getting a long wave. 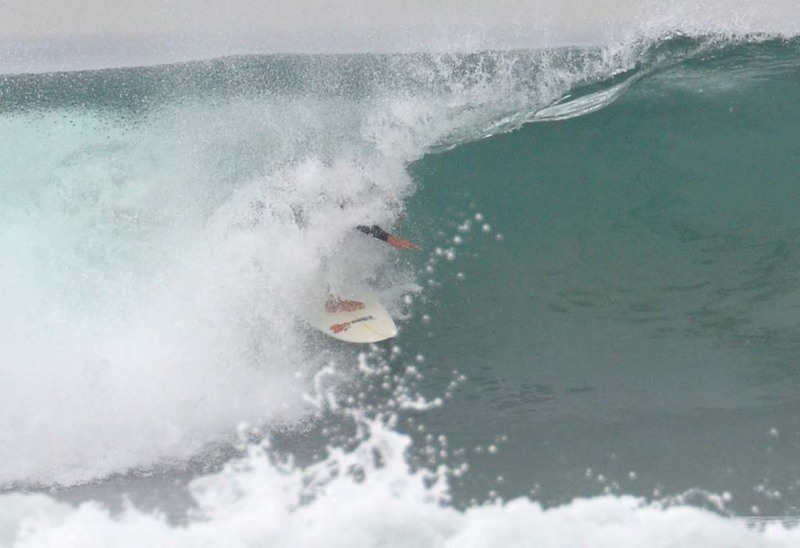 A surfer bottom turns and has a long wall to carve up in front of him. A surfer pulls into a barrel in Encinitas on Tuesday.